Transform your mindset. Transcend the competition. Build something that matters. There are a million books out there about business strategy, entrepreneurship, marketing, sales, and innovation. They’re full of great advice—if you’re looking to make modest gains in a market where you’ll never be the leader. Toothfish will teach you a different way. How do companies like Peloton, Tesla, Salesforce, Amazon, Gatorade, Google, Oracle and Merit manage to dominate their markets? By inventing their markets. It’s not marketing. It’s not the quality of the product, or financial practices, or executive leadership. Of course those are all important. But what sets market inventors apart is the way they create entirely new markets—and then expand and dominate those markets with relentless invention. Toothfish is the first book to explore Market Invention as a fundamental law of commerce. It’s not more business theory: it finally uncovers the true reason why market leaders enjoy a majority of the revenue and profits while everyone else fights for second place. 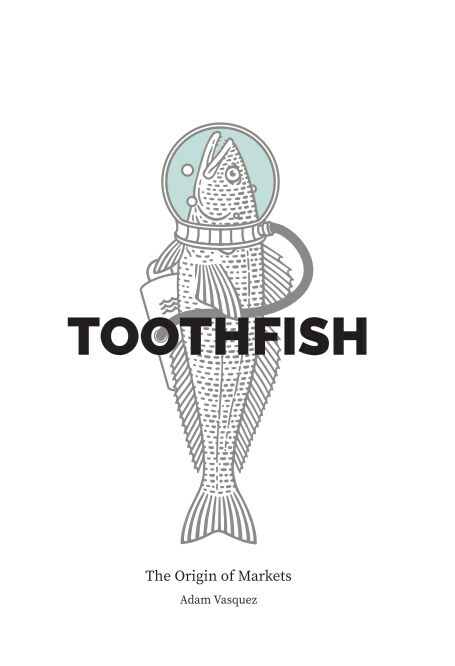 Toothfish will guide you through how Market Invention works step-by-step and share real world examples, past and present, so you to learn from their subversive strategies and incredible breakthroughs. Stop playing the industry games. Stop settling for second place. Stop building a brand—and start inventing a market. You will never look at your business or your competition in the same way after you understand the unstoppable force of Market Invention.